Virginia Governor Bob McDonnell announced the appointment of James Cuthbertson to the State Board of Community Colleges on August 16, 2013. An accomplished medical entrepreneur and healthcare leader, Cuthbertson founded American Cardiac Care, Inc. a specialty healthcare delivery corporation utilizing cardiovascular physician networks and cardio-pulmonary rehabilitation facilities. Prior to that endeavor, Mr. Cuthbertson led the Texas Heart Institute, the world's largest cardiovascular care center as its President and Chief Executive Officer. Before accepting that position, he served for thirteen years as Chief Operating Officer of the Cleveland Clinic Foundation, the nation’s second largest, tertiary-care enterprise and pre-eminent research center. Mr. Cuthbertson is recognized as a distinguished healthcare leader whose vision and leadership contributed greatly to the advancement of treatment modalities and the eradication of suffering in many of the health disciplines with which he has been associated. 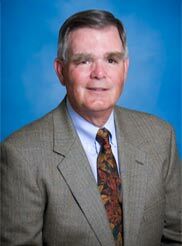 Mr. Cuthbertson served as Chairman of the J. Sargeant Reynolds Community College Board from July 2011 to June 2013, and remains on the College Board representing Henrico County. He is also a past member of the school’s Foundation Board of Trustees. He served with distinction as an infantry company commander in Vietnam, receiving the nation's third highest award for bravery, the Silver Star. He is also the recipient of two Bronze Star Medals w/ “V” devices, three Purple Hearts, five Air Medals, a Valorous Unit Citation and the Vietnamese Cross of Gallantry. Mr. Cuthbertson is a graduate of Kent State University and holds a master's degree in business administration from Case Western Reserve University. He and his wife Barbara have three adult children and live in Glen Allen, Virginia. On Saturday, August 24 Reynolds Great Expectations Coordinator/Coach Dedra Hampton was a guest on the “Revelation for Elevation” radio show to discuss the college’s Great Expectations program and foster care advocacy. The Reynolds Great Expectations program helps young adults – those who are or were recently affiliated with the Virginia Foster Care System – transition to college. More than 500 children in the Virginia foster care system age out each year. Without social or family support, foster care children experience significant challenges living on their own. However, with access to education, foster care youth can find satisfying, well-paying jobs. To find out more about the Reynolds Great Expectations program, visit http://www.reynolds.edu/ge/. 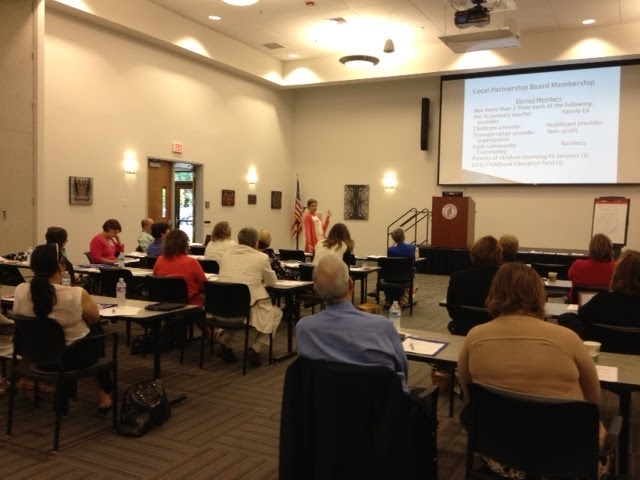 A group of 25 community leaders from around the state gathered at J. Sargeant Reynolds Community College in Richmond to discuss issues related to school readiness and early childhood initiatives during the Smart Beginnings Leader Institute on Tuesday, August 20. 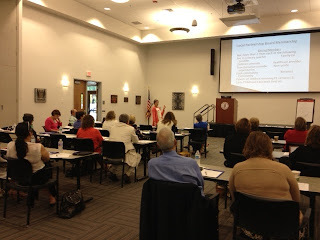 This was the second of five sessions of the seven-month Leader Institute, which launched on July 30 in Charlottesville. Reynolds President Dr. Gary Rhodes, who also serves as Chair of the Leadership Council for Smart Beginnings of Greater Richmond, welcomed the group to Richmond and stressed the importance of a good foundation in early childhood education. In addition to learning from the featured presentation, participants had the opportunity to network with their counterparts from Smart Beginnings initiatives across the state, sharing best practices in school readiness and services. The Virginia Early Childhood Foundation (VECF) created the Smart Beginnings Leader Institute to engage, educate, and enrich the capacity of leaders across the state to advance school readiness for Virginia’s children. The Leader Institute is supported and partially funded by the Tobacco Indemnification and Community Revitalization Commission. Several businesses and educational institutions are hosting the sessions, including LexisNexis in Charlottesville, J. Sargeant Reynolds Community College in Richmond and Cox Communications in Roanoke. For more information on the Smart Beginnings Leader Institute, contact the Virginia Early Childhood Foundation at (804) 358-8323. In addition to teaching horticulture classes at J. Sargeant Reynolds Community College, Instructor Scott Burrell is a frequent contributor to Virginia Gardeners magazine and a well known speaker on horticultural topics. The September 2013 issue of Virginia Gardener Magazine includes two articles penned by Burrell along with pictures. The articles, available at these links, are entitled "Fabulous Foliage - Favorites of a foliage freeloader" and "Serbian Bellflower." Scott and his wife Beth, a landscape architect, maintain a 1-1/2 acre garden at their home in Mechanicsville. Scott can be reached at 523-5950 or by email at sburrell@reynolds.edu. August 21 marked the first day of classes at all three campuses of J. Sargeant Reynolds Community College. First year students, we welcome you to Reynolds and returning students, welcome back! As you prepare for another academic year we encourage you to begin thinking of ways you can get connected to student life on campus. You’ll want to know about the many events that Reynolds has going on throughout the semester, so make it a habit to check out Student Life’s Events Calendar. To get the most up-to-date information, be sure and “like” us on Facebook and follow the college on Twitter. 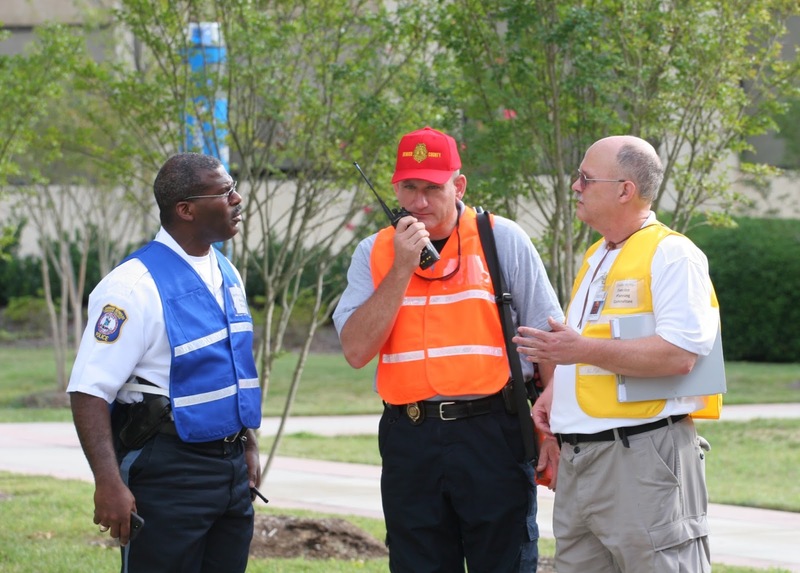 Your involvement in campus life will enhance your overall college experience. The Office of Student Life is starting things off by hosting Welcome Back events on all three campuses on August 27, 28 and 29 featuring food, giveaways, music, and games. Why not stop by for some treats and try to Dunk-a-Dean? The Student Life Game Centers open on September 3. The Game Centers located at both Downtown and Parham Road campuses offer Pool Tables, X-Box, PS3, Wii, Chess and Checkers so stop by to relax, eat lunch, play games or just hang out with friends when your schedule permits. Upcoming events include blood drives in early September, the annual Busch Gardens bus trip on September 7 (tickets are currently on sale in the Business Offices), and intramural sports orientation sessions, just to name a few. On a more serious note, renovations at the Downtown campus continue and some services have been temporarily relocated while construction takes place. We appreciate your patience during the construction and have posted signs to keep you abreast of changes. We look forward to a great year! Thank you for choosing J. Sargeant Reynolds Community College to reach your educational goals. We are excited about working with you to achieve them. Whether you plan complete a certificate or degree, transfer, or simply take classes for personal development, we wish you great success this academic year! J. Sargeant Reynolds Community College Department of Police, in conjunction with Henrico County Police Division, Henrico County Division of Fire, Virginia State Police, and Virginia Department of Emergency Management held a multi-jurisdictional "active shooter drill" on August 10th at the Parham Road Campus. 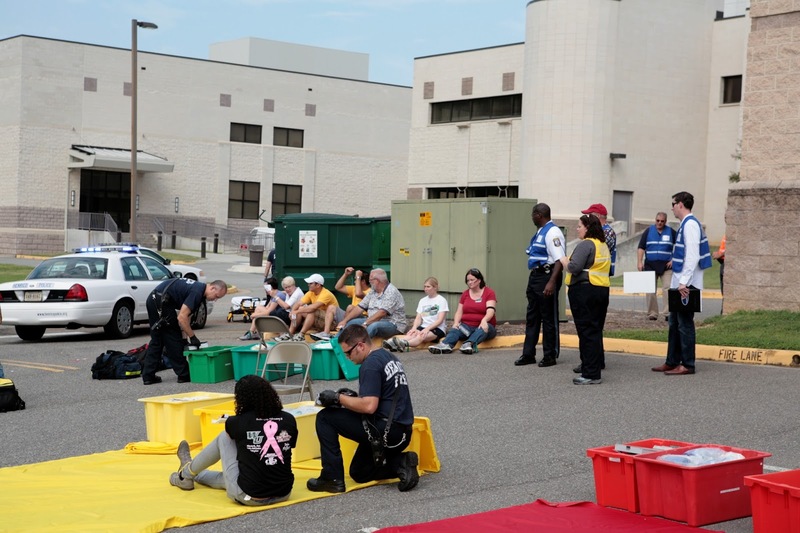 The Saturday drill simulated an emergency incident in Georgiadis Hall, triggering a response from numerous local emergency management partners including personnel and units from Henrico Police, Henrico Fire, Tuckahoe Volunteer Rescue Squad and Lakeside Volunteer Rescue Squad. 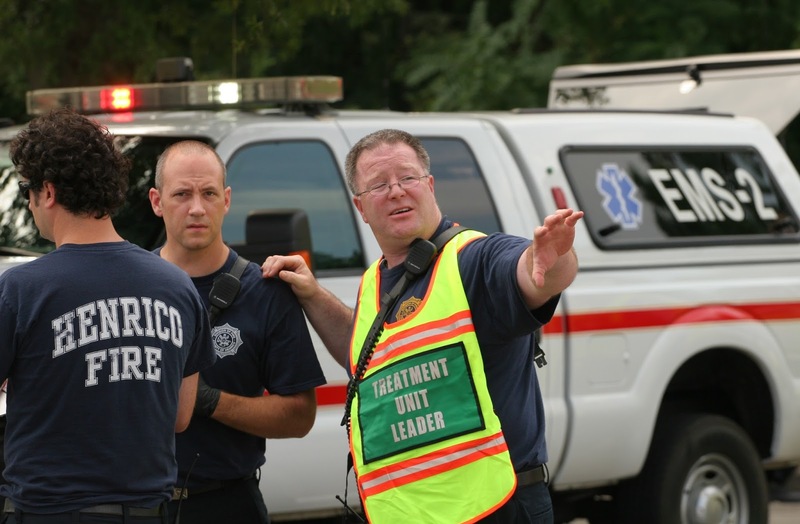 More than two dozen volunteers role-played as victims with varying degrees of injuries. Reynolds Police Chief Paul Ronca noted that the drill was "an important opportunity to work with several outstanding local partners to test our response capabilities and interoperability with multiple agencies." 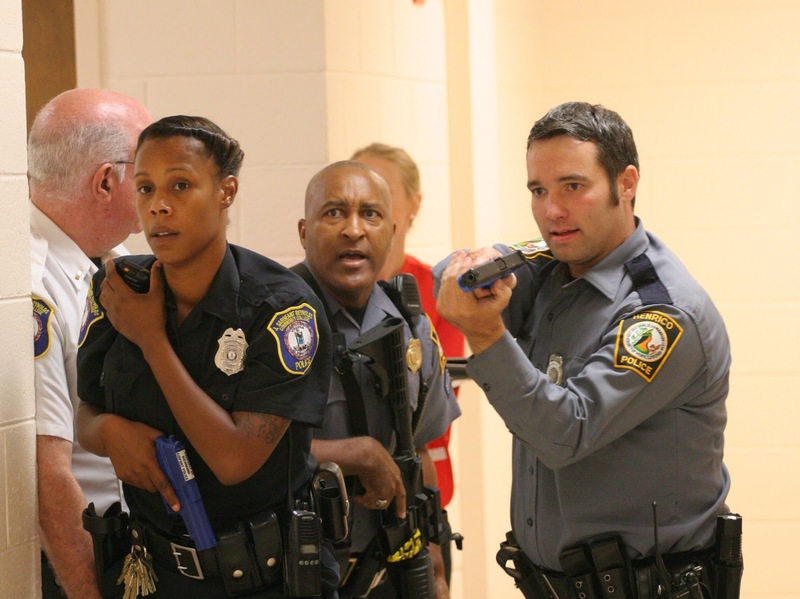 Henrico County Chief of Police Douglas Middleton attended the active shooter drill and noted, "The objective here is to create an environment that is as realistic as possible so that officers, non-sworn personnel, and firefighters understand how to respond when a crisis actually does occur." The successful active shooter drill is another important milestone of excellence for the Reynolds Department of Police, coming on the heels of the department's June accreditation by the Virginia Law Enforcement Professional Standards Commission (VLEPSC). 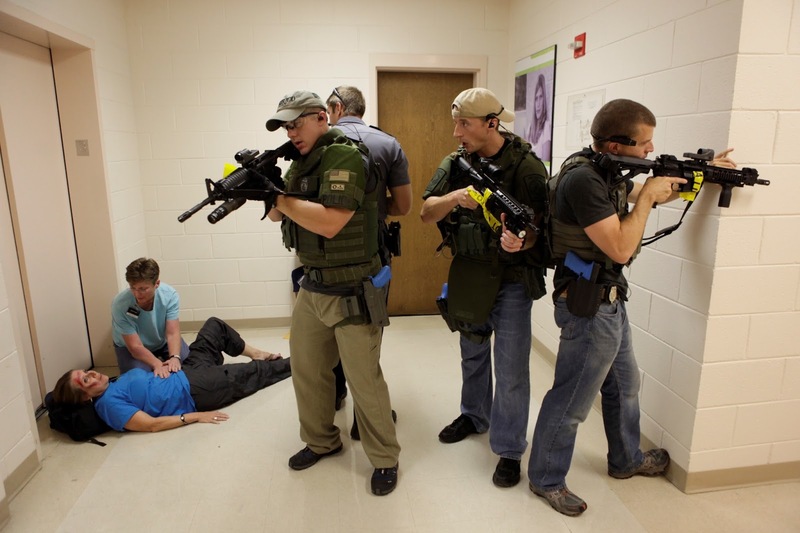 Reynolds Police was the first department at a VCCS member institution to receive such an accreditation. 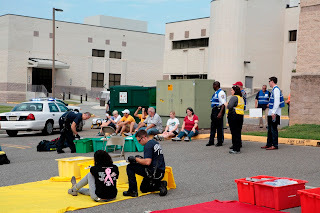 Video footage of the drill, including brief interviews with Chiefs Ronca and Middleton, as well as photos from the drill can be found below. Are you interested in learning about advanced automotive technology? Today’s automotive diagnostics and repair careers are challenging and financially rewarding. J. Sargeant Reynolds Community College is offering the following three new advanced automotive courses this fall. (1) AUT 230 - Intro to Alternative Fueled & Hybrid Vehicles (3 credits): This online course offers general information about the exciting new automotive technology of alternative fuel including electric vehicles. No prerequisites are required. 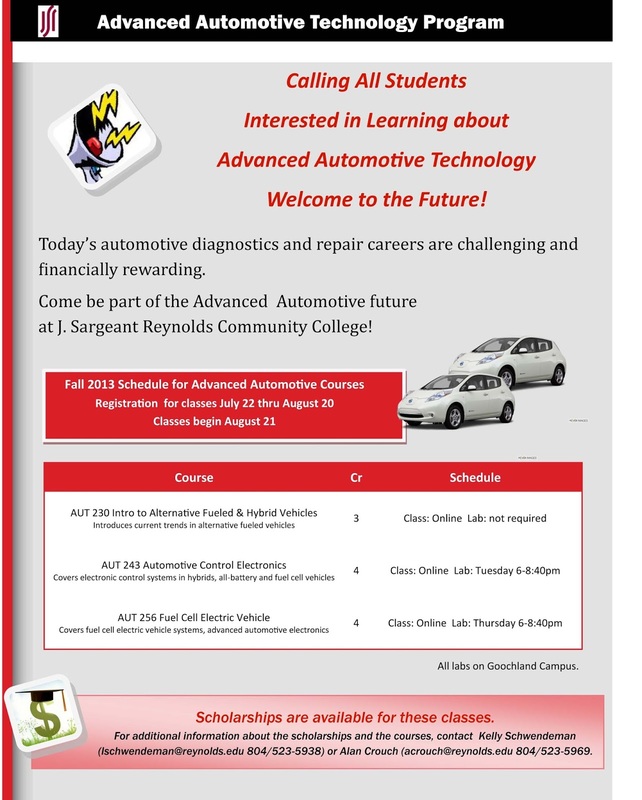 Anyone interested in automotive technology is welcome to sign up. There is no lab associated with this course. (2) AUT 243 - Automotive Control Electronics (4 credits): This online course covers control systems in electric vehicles and fuel celled vehicles. Students should talk with school advisors about enrolling in this course. There is an associated lab that meets on Tuesdays from 6 p.m. – 8:40 p.m.
(3) AUT 256 -Fuel Cell Electric Vehicles (4 credits): This online course covers fuel cell vehicle systems and advanced automotive electronics. Come learn about what the not-to-distant future automobile will have under the hood. Students should talk with school advisors about enrollment requirements. There is an associated lab that meets on Thursdays from 6 p.m. – 8:40 p.m. Scholarships are available for these classes. Classes begin on August 21. For additional information about the scholarships and the courses, contact Kelly Schwendeman at lschwendeman@reynolds.edu or (804) 523-5938 or Alan Crouch at acrouch@reynolds.edu or (804) 523-5969. The staff of UVA's Alderman Library showed Bridging Cultures faculty some of the resources of the library and seduced us with tales of the Semester at Sea. We toured Alderman's gorgeous Asian Reading Room, where we were treated to an impromptu storytelling session by Slavic librarian and professional storyteller George Crafts. Back in the Open Grounds classroom, Edith Clowes explained the theological and (mostly) political division between the Eastern and Western (Orthodox and Catholic) churches, and the characteristics of Orthodox cathedral architecture and iconography. 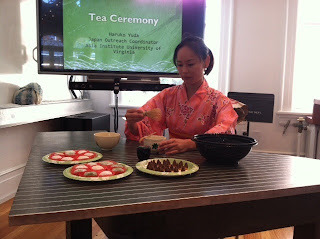 Next, Natasha Miles presented an intro to Buddhist philosophy and a detailed life of the Buddha. We finished the day with Rich Cohen's millennia-spanning lecture on Hinduism and Jainism including their ancient roots and most influential reformers. Most interestingly, he pointed out that "Hinduism" is a label applied largely by non-Hindus to attempt to collect the diverse beliefs of a huge nation into a convenient conceptual packages. Concepts like the Ishtadeva, or personal god, mean that one can expect to see a great diversity of belief and practice from region to region, or even from Hindu to Hindu. After Dr. Cohen's lecture, I feel like I'm already semi-fluent in Sanskrit, but I think I'm about to learn how little I know since today's lectures focus on language and linguistics. Once more into the breach! The above blog is a recount of Reynolds faculty member Jason Lira’s experience at the symposium on Bridging Cultures. Seven Reynolds faculty members joined other participants from representative VCCS institutions in a weeklong, National Endowment for Humanities-sponsored symposium on Bridging Cultures. Hosted by the University of Virginia and led by Project Director Rachel Stauffer, Outreach Coordinator of the Asia Institute and Lecturer in Slavic Languages and Literatures, the Bridging Cultures Symposium provides VCCS faculty with the opportunity to develop their understanding and knowledge of the culture, geography, history, and human development in South Asia, East Asia, Russia and Eurasia, and the Middle East. In the interim days between the end of the summer semester and the start of Fall 2013 classes, seven JSRCC faculty have joined other participants from representative VCCS institutions in a weeklong, NEH-sponsored symposium on Bridging Cultures. Hosted by the University of Virginia and led by Project Director Rachel Stauffer, Outreach Coordinator of the Asia Institute and Lecturer in Slavic Languages and Literatures, the Bridging Cultures Symposium provides VCCS faculty with the opportunity to develop their understanding and knowledge of the culture, geography, history, and human development in South Asia, East Asia, Russia and Eurasia, and the Middle East. On Monday, August 5, symposium participants enjoyed a series of intense and detailed lectures from UVA scholars whose research focuses upon Ancient China, Ancient South Asia, and the ancient civilizations of Central Asia. Some specific areas of conversation included discussions of the Silk Road, the philosophical and cultural attributes of ancient Chinese dynastic empires, and movements of peoples and cultures throughout ancient South Asia. In addition, participants witnessed a traditional Japanese Tea Ceremony shared by Haruko Yuda, Japan Outreach Coordinator at the Asia Institute of UVA. Participating JSRCC faculty include Joseph Appiah (History), Cynthia De Riemer (Communication Studies), Ghazala Hashmi (English), Jason Lira (English), Maria Ramos (English), Jane Rosecrans (English), and Christopher Thomas (History). 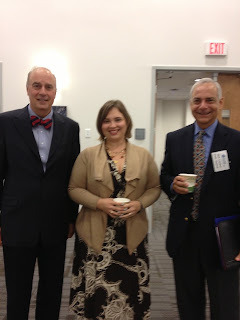 Dr. De Riemer also serves as the JSRCC Project Liaison in this two-year long collaboration between UVA and VCCS faculty. At the end of the week’s Symposium, Reynolds faculty will define areas of focus and effort for this academic year, and also develop plans to share their work with other faculty and students at JSRCC. Bringing color and collaboration to Burnette Hall, artists-in-residence from Westminster Canterbury Richmond and Cedarfield retirement communities have transformed formerly bare walls on the Second Floor of the Arts & Humanities into a welcome gallery space. In an effort to bring more artwork and visual interest to the college, Dr. Rhodes has reached out to local artists, such as photographer Wayne Dementi, whose images are featured at the Goochland Campus; Beth and Wolfgang Jasper, displayed in the Workforce Development and Conference Center; and, the collection gifted by W. Baxter Perkinson at the Downtown Campus. Westminster Canterbury and Cedarfield, both with active art programs, each adopted a wall in the Arts & Humanities wing, giving the residents ample room to showcase their talents. Westminster Canterbury’s “The Four Seasons of Richmond, Virginia” murals feature well-known monuments and landmarks. “Virginia Trees in Their Native Habitat” by the Cedarfield artists takes a more bucolic turn. “Viewing the pieces is like taking a drive through the city and then through the country,” said Brenda Bickerstaff-Stanley, an artist and project coordinator at Cedarfield. In a testament to Dr. Foy’s remarks, it’s not unusual to see students poised in a moment of quiet reflection in front of the pieces, or hear a comment of appreciation from a passerby to another. It seems the project – as art has the power to do – is continuing to bring people together in a meaningful way.